I tend to focus mostly on places that offer prices on the cheaper end of the spectrum; aside from the obvious (they’re cheap! ), I generally find them more satisfying. There aren’t many things in the world that I love more than a really great bowl of noodles from a hole in the wall. 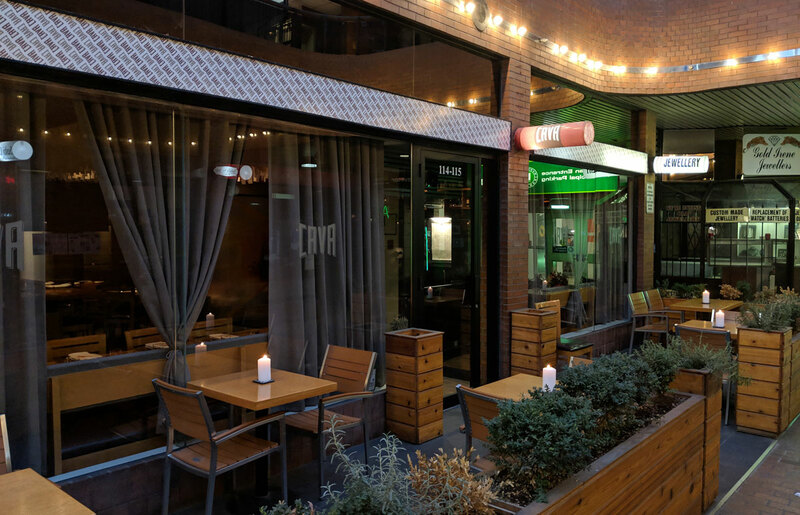 Still, it’s nice to venture out to pricier restaurants every now and then. There’s a level of craft and a quality of ingredients that you just can’t get without shelling out some cash. Cava is a great example of this. It certainly isn’t cheap, but holy moly the food was good. 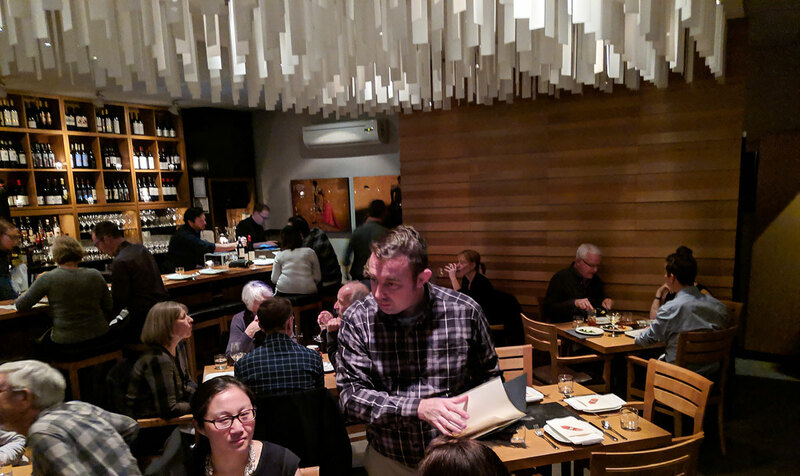 They focus on Spanish-inspired tapas, so I got to try a handful of things. 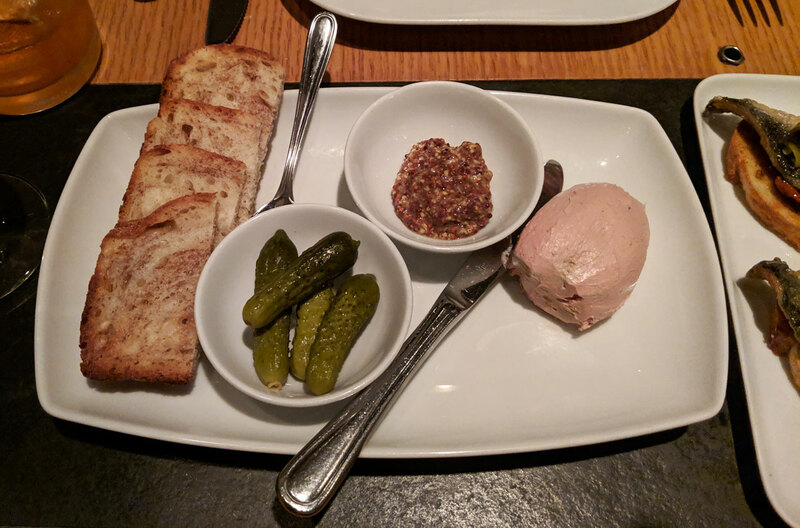 The chicken liver and foie gras mousse was deeply flavourful and luxuriously creamy. It’s served with a little bowl of grainy mustard on the side, which does a great job of cutting the richness of the mineraly pate. 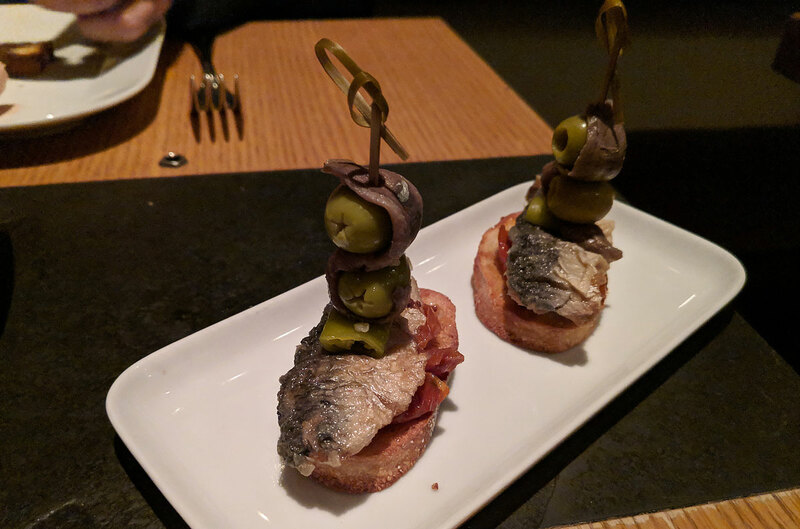 The “Supergilda” features a deliciously fishy sardine on tomato-spread toast, speared with olives and anchovy. It’s simple, but immensely satisfying. 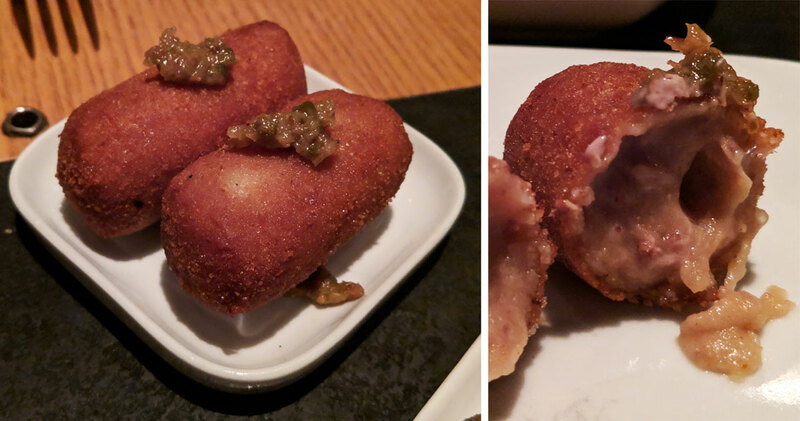 Next up was the jamon croquetta, which was a crunchy fried tube of creamy goodness. It was a bit light on the jamon, but was otherwise really tasty. The beef salpicon was one of my favourites of the evening. 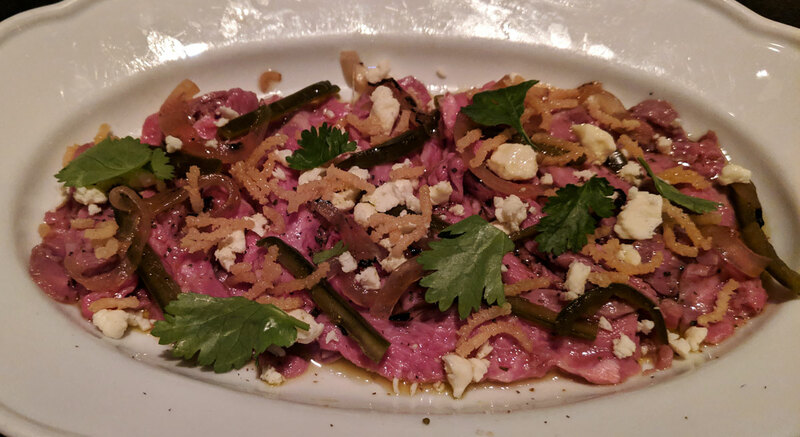 It had a seriously intense beefy flavour, a tasty combo of high quality olive oil and acidity, and a fantastic contrast between the tender beef and the crispy bits on top. 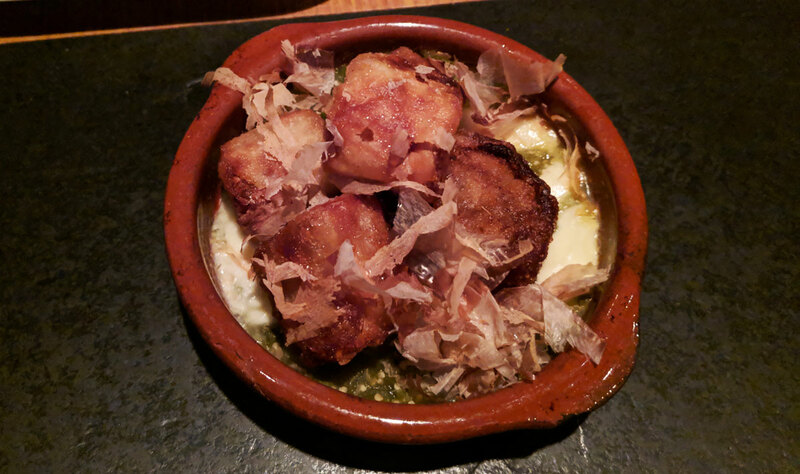 My absolute favourite dish of the night was the eggplant with queso fresco, bonito, and tomatillo sauce. Holy crap, this dish. The contrast in textures here was insane — the deep fried exterior was shatteringly crisp, and the eggplant within was absurdly creamy. The combo of those two textures was bonkers, and the gooey cheese, smoky/funky bonito flakes, and zingy tomatillo sauce complimented it perfectly. So damn good. The last savoury dish was the roasted pork belly and morcilla in a kidney bean stew. 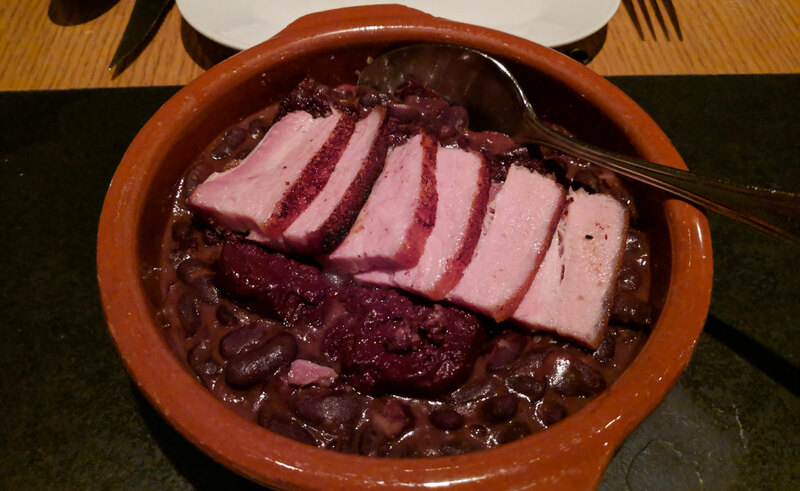 This was basically an upscale version of pork and beans. It was almost absurdly rich, with the blood sausage really amping up the luxurious flavour of the beans. We had the churros for dessert, which was probably the only real disappointment of the night. 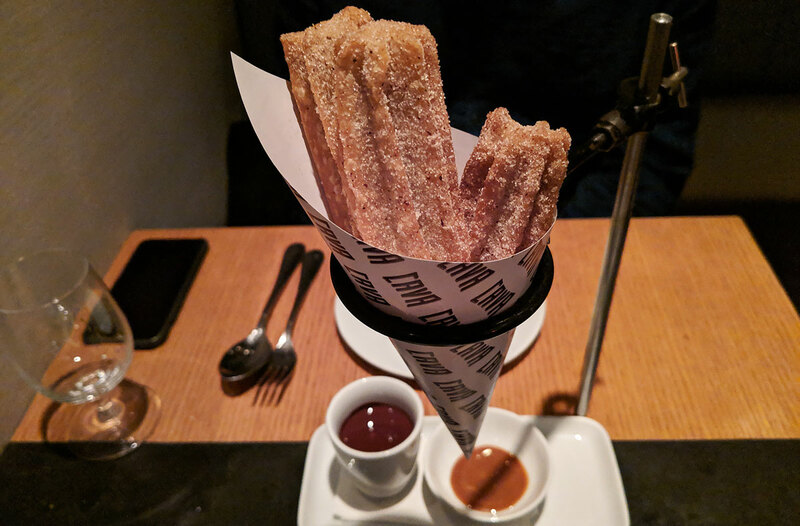 The cinnamon- and sugar-dusted churros were certainly tasty, but nothing about them stood out from the churros you can get at any number of places throughout the GTA. 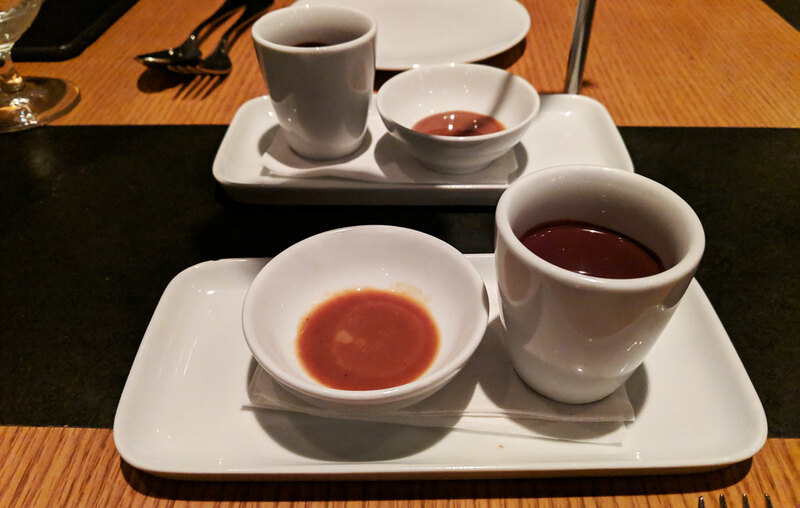 It did, however, come with a small cup of drinking chocolate that had an amazingly intense flavour. Just give me a big mug of that and I’ll be a happy man.